LAX International Airport unveiled the renovated Terminal 2 in January 2016. Image courtesy of Westfield. 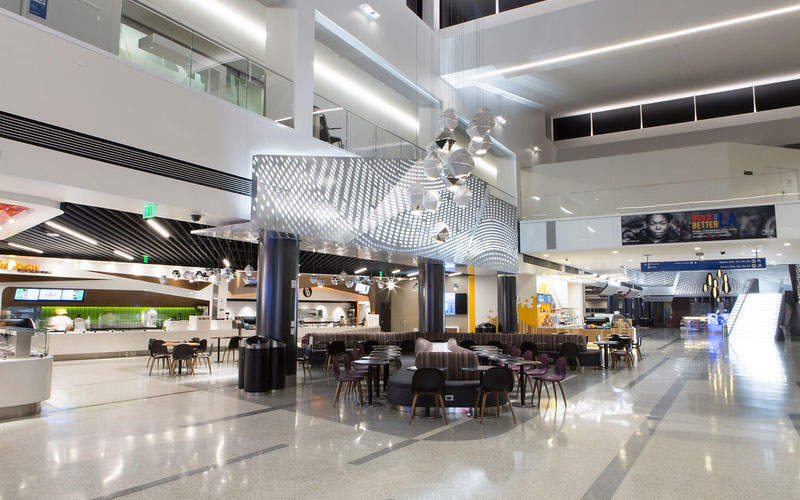 The Terminal 2 Improvement Programme has completely transformed the age-old terminal at Los Angeles International Airport. Image courtesy of Westfield. 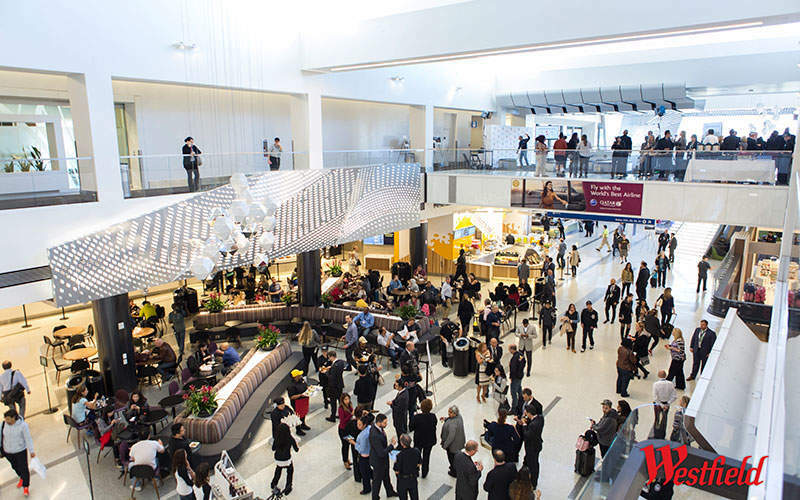 New retail and dining outlets have been added to Terminal 2. Image courtesy of Westfield. A mezzanine level overlooks the terminal below. Image courtesy of Westfield. The design incorporates features that match with the city culture. Image courtesy of Westfield. Starbucks in one of the 16 new additions to the terminal. Image courtesy of Westfield. 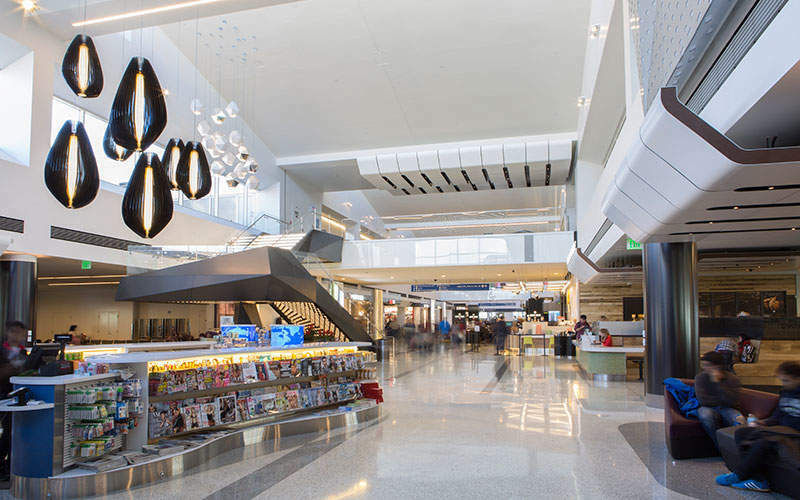 The second busiest international terminal at Los Angeles International Airport (LAX), Terminal 2, is undergoing a major improvement to enhance the airport’s level of service and its appearance. The terminal improvement programme is part of an $8.5bn modernisation project initiated by airport operator Los Angeles World Airports (LAWA) to upgrade all the five terminals at LAX. The Terminal 2 improvement programme has been partially completed and the terminal was officially opened in January 2016, with brand new design and more dining and shopping options. Construction of the phase one, which began in September 2014, took 20 months to complete, while the terminal remained open for the passengers. The second phase of improvements will be completed by 2017. The improved terminal is expected to bring $41m in annual sales, a 34% increase from the current revenues, and increase the number of employees in the terminal by 76%. Originally constructed in 1962, Terminal 2 at LAX is one of the oldest terminals at the airport. It was demolished and reconstructed in 1988 and currently hosts more than ten domestic and international airline carriers. The terminal served approximately 5.2 million passengers in 2015, which is above its capacity. LAWA initiated the improvement programme at the terminal to increase its capacity and improve passenger facilities. The programme includes major upgrades to the ticketing area, baggage screening, baggage claim area and concourse areas, and upgrades to all electrical, mechanical and telecom systems in the terminal. The project also includes developing new retail stores and dining options that provide local food and beverages. 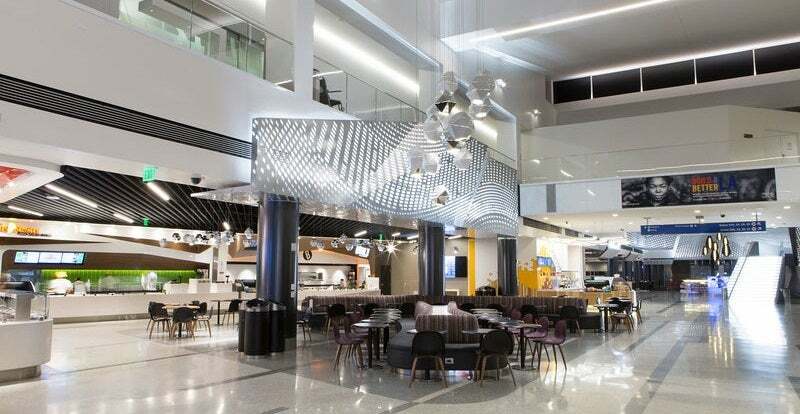 The retail and dining options at the terminal are designed with a theme named ‘Los Angeles in Motion’, which incorporates the modern, innovative and always on-the-go culture of the city. 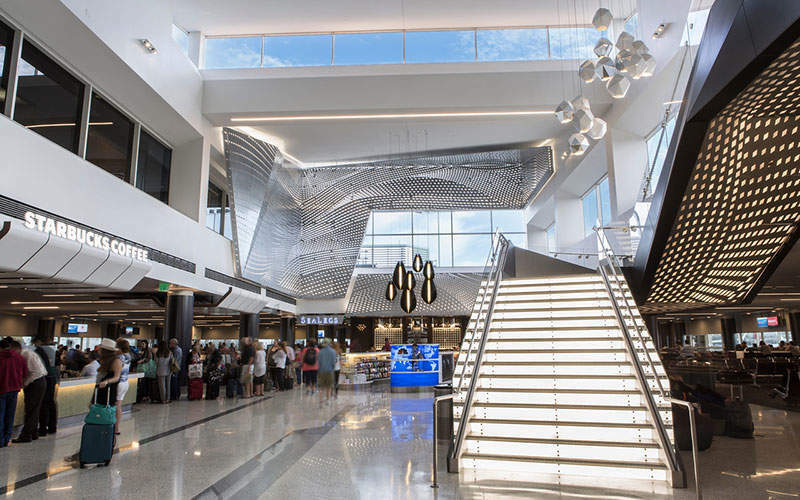 After crossing the TSA checkpoint, the travellers enter the commercial hub, which is a duty-free retail area that connects to a terrace with dining options, textured surfaces and lounge-style seating. It connects to the Strand, which is an open flowing dinning and shopping area that features a grand staircase and a luxurious bar and leads further to a mezzanine that overlooks the terminal below. 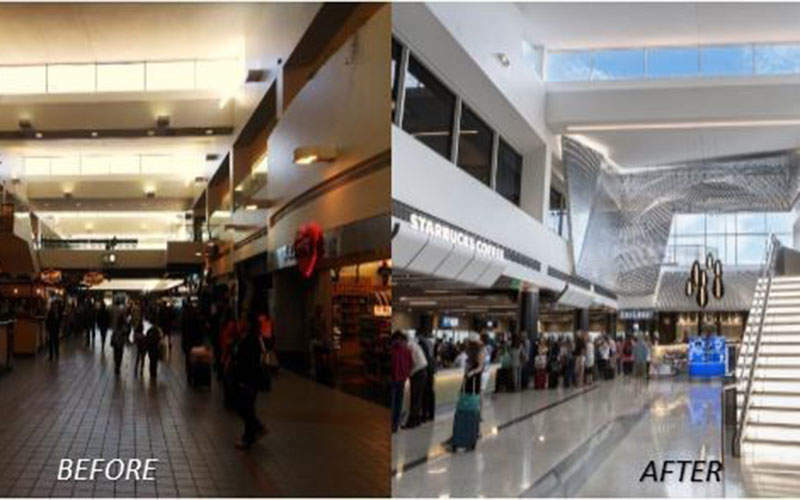 During the improvement, approximately 76,000ft² of the terminal area has been upgraded with new features and facilities. The new dining and retail areas comprise 15,000ft² floor area and will feature seven southern Californian brands and 17 brands entirely new at the airport. The food and beverage outlets include SeaLegs Wine Bar, which offers premier selection of wines, Slapfish Modern Seafood Shack for American seafood, Pick Up Stix for Chinese, Fresh Brothers Pizza, Ciabatta Bar for organic sandwiches and salads, BUILT for custom burgers, Barney’s Beanery and Starbucks. "The terminal improvement programme is part of an $8.5bn modernisation project to upgrade all the five terminals at LAX." Retail brands include SPANX, CNBC shops, Univision shops, eSavvy, InMotion Entertainment and DFS duty-free stores. Besides dining and retail outlets, the improvement project also includes construction of new gate hold rooms and bathrooms, installation of new systems including lighting, gate counters, gate and flight information displays and digital directories. New IT infrastructure will also be added to support all terminal flight operations. 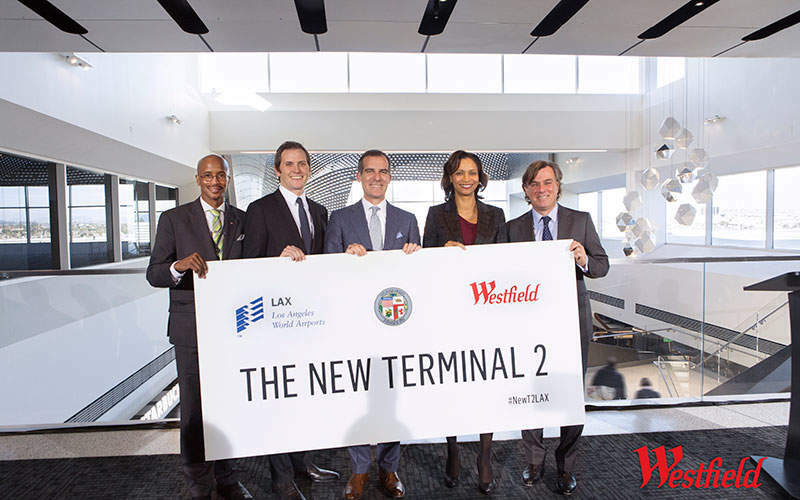 The $332m Terminal 2 Improvement project will receive $78.3m investment by the Westfield, the company responsible for the development of retail and dining area in the terminal. The remaining amount will be raised by LAWA through passenger facility charges (PFCs), TSA grants, LAX funds and airport revenue bonds. LAWA will also recover the investment from the terminal users through terminal rates and charges collected over the useful life of the improvements. In partnership with LAWA, Westfield was responsible for the retail and dining outlets development in the terminal. California-based Gin Wong Associates, in collaboration with US architectural and engineering firm Skidmore, Owings & Merrill LLP (SOM) designed the improvement project. The construction contract was awarded to Turner Construction Company. The terminal improvement project incorporates a sustainable design that includes the use of LED lighting to reduce energy consumption, restroom upgrades to reduce water wastage and the use of grease interceptors to improve the quality of discharged wastewater. The pre-conditioned air capacity at the terminal will be expanded to reduce aircraft emissions while parked at the gates. Electrical charging stations will be installed to reduce the emissions from ground service equipment. Ansir is an Australian company founded in 1972 as an electrical engineering and contracting company. After many years as a provider of solutions to the materials handling industry, we acquired the business of long-time baggage-handling systems provider AP Morling, a company with over 30 years' experience in the airline industry. Triagonal is a world-leading route wayfinding, signage and passenger experience specialist based in Copenhagen, Denmark, supplying high-quality advice and solutions to airports, railway stations, universities, hospitals, and shopping centres worldwide.